For the majority of my life, I have lived in the suburbs of Philadelphia. Roughly a half hour’s drive away, I have had the chance to visit the city whenever I wanted to. And although I’m not remotely comfortable enough with my skills as a driver to even consider driving (let alone parking) in a major city, I could have easily jumped on a bus or train to get in the city. But I rarely, if ever, did. I’m not sure if it was because I was always a bit more sheltered than most of my friends, or if it was because I never felt comfortable going places alone, or if it was just a classic case of me not appreciating what opportunities were available to me. Whatever the reason may be, when I moved for six months to San Jose, about an hour’s drive south of San Francisco, I promised myself I would not make the same mistake. San Francisco promised me a new world. From my limited knowledge of the city (gained mostly from Full House and other television shows and movies), there was much to see and discover. I just had to commit to finding it. Over those six months, I think I did an adequate job discovering some of what makes San Francisco interesting. I didn’t visit nearly as much as I wanted to, and definitely missed out on some of the great parts of the city, but I made a dent. I carved out a niche in a city that, quite honestly, overwhelmed me at times. And while I never felt quite at home, I experienced incredible events and saw amazing places that will make San Francisco retain a fond place in my heart. 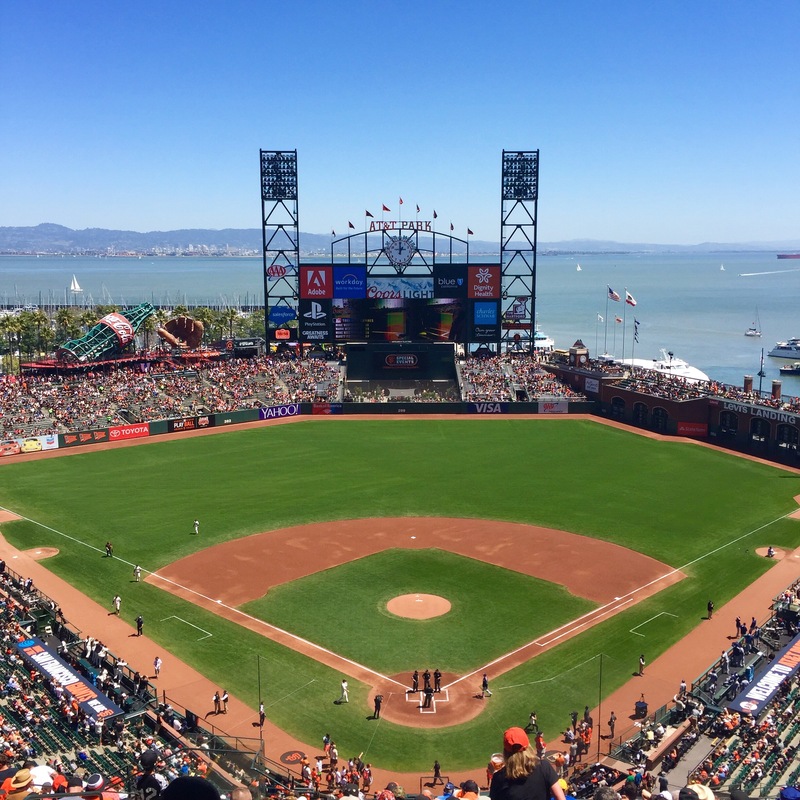 Although I saw many more sites and attended many more events than the ones listed below, these are some of the San Francisco attractions that stand out to me. I love the ballet. In Boston, I have had the opportunity to see a handful of famous pieces, and am currently an ambassador of the ballet, hanging posters around Northeastern and sharing my experiences. For whatever reason though, I didn’t think to check out the San Francisco Ballet. In fact, it wasn’t until I was walking around my first weekend in San Francisco and saw a banner advertisement did I even think that yes, a major city and a cultural hub would definitely have a ballet program. I’m still thankful I noticed the sign. The San Francisco Ballet is absolutely incredible. Hands down my favorite thing to see in the entire city. 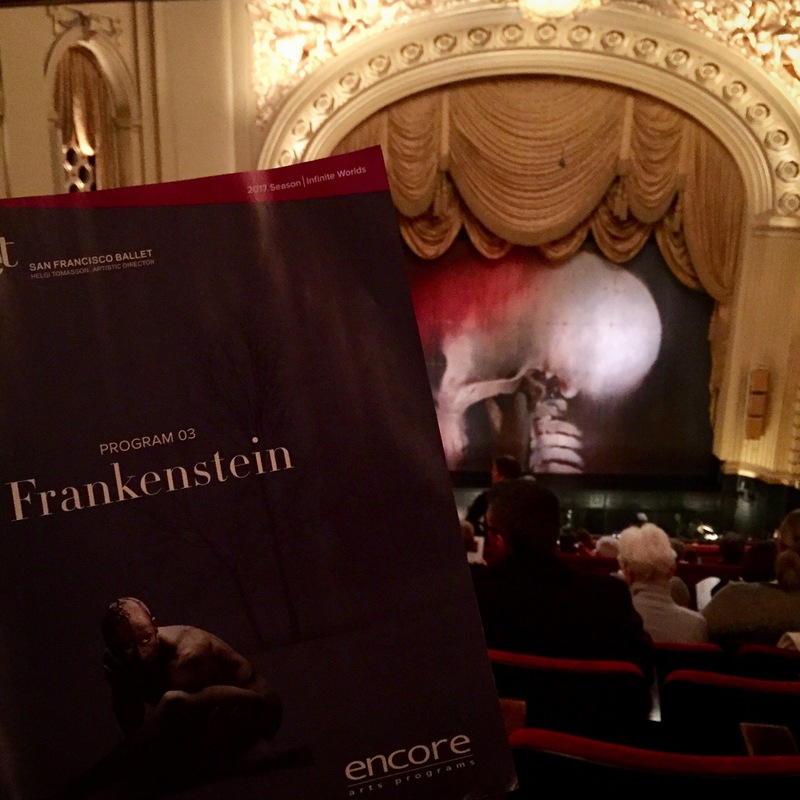 During my six months, I saw three phenomenal shows: Frankenstein, Made for SF Ballet (a triage of performances), and Cinderella. Each blew me away, each in different ways. While prior to this year I would have said Swan Lake was my favorite show hands down, some of the ballets, especially Frankenstein, gives it a run for its money. For anyone interested in ballet, or considering seeing their first show, in the Bay Area, check out the new season and try to see one of these incredible performances. My favorite museum in San Francisco was the de Young Museum. Located in Golden Gate Park, the de Young Museum is an art museum with an impressive collection and even cooler special exhibits. The museum’s collection is so interesting in part because of the emphasis on American art. I tend to gravitate towards European paintings (many of which are exhibited at the Legion of Honor, which is included in the de Young Museum’s admission) and speed through other types of art. Part of this, however, tends to come from the fact that the museums tend to show off their Monets, Vermeers, and Van Goghs more so than other types of art. But the de Young Museum stuns with its collection of American art. By having it the majority of the museum, it forces you to stop searching for the more familiar names and instead take a moment to truly appreciate a different type of art, something I found interesting. The special exhibits at the de Young Museum are also stellar. 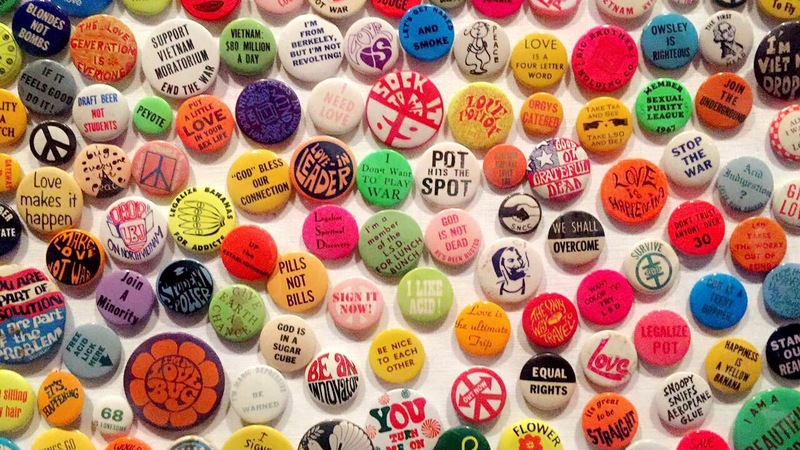 During my time I saw the Summer of Love exhibit, focusing on art, fashion, and rock and roll of 1967. As someone interested in history, I found the way the way the museum highlighted social movements and activism through art fascinating. The exhibit was well designed and featured all different types of medium, from posters to original concert footage to clothing. The exhibit was definitely worth checking out and makes me think future exhibits will be just as interesting. A month into my time in California, my parents flew out to see me for my birthday. We had a great time exploring the city, especially checking out some of the more touristy sites. Out of everything we saw in the city, my favorite was Coit Tower. The tower, while only 210 feet tall itself, sits on a large hill in Pioneer Park, so while it might not be the tallest, you still get a great view of the city. And while I love an expansive view of a city, I like it more so when you aren’t so far up everything is hard to distinguish. Although I had only been in San Francisco a few times before, I could make out famous places, some of which I had even visited. Not only was it fun seeing things I was familiar with, but it definitely helped me get a greater understanding of where everything was in relation to everything else. While a physical map is nice, seeing everything spread out below definitely made it easier to visualize. One of the biggest mistakes I made was visiting the Mission during my second to last weekend. I absolutely loved this part of the city. 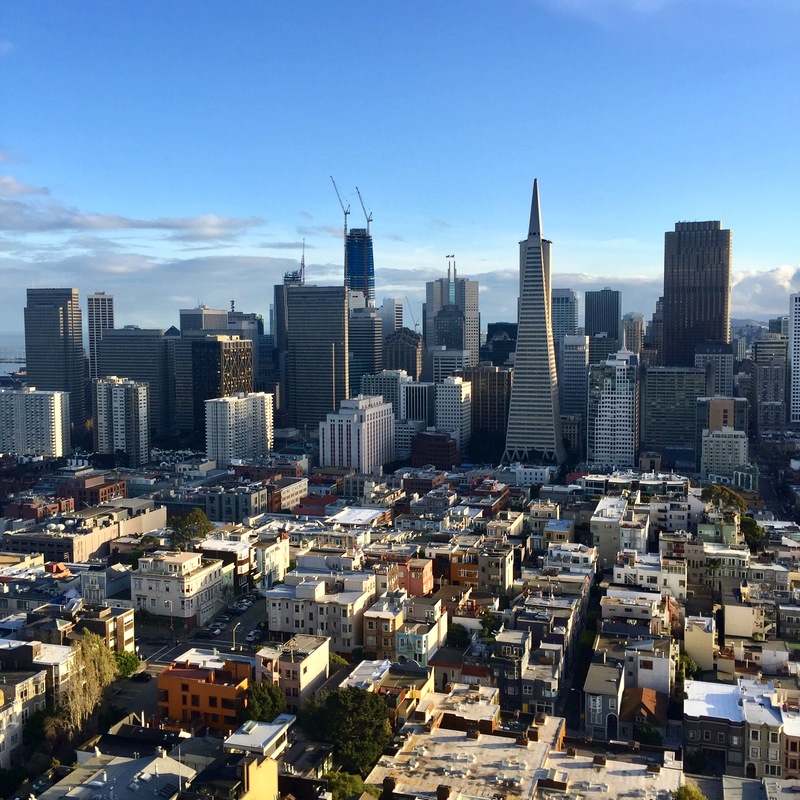 While at times I felt as though I didn’t fit into the San Francisco culture, visiting the Mission made me wondering if I was just looking in the wrong places for somewhere to fit in. The parts of the Mission I explored, mostly from Dolores to Mission Street from 24th to 16th, were everything I had hoped for in San Francisco. There were murals every four feet, art galleries and bookstores galore, and a ton of restaurants I wanted to try. I wish I had not only gone earlier in my six months but that I also went earlier in the day so I could have dedicated an entire day to explore. But even though I only had the end of a day there, I was able to find incredible things to do. One of my friends from work owns an art gallery with his wife, Wonderland SF, that also sells clothes I could only hope to be cool enough to pull off one day. 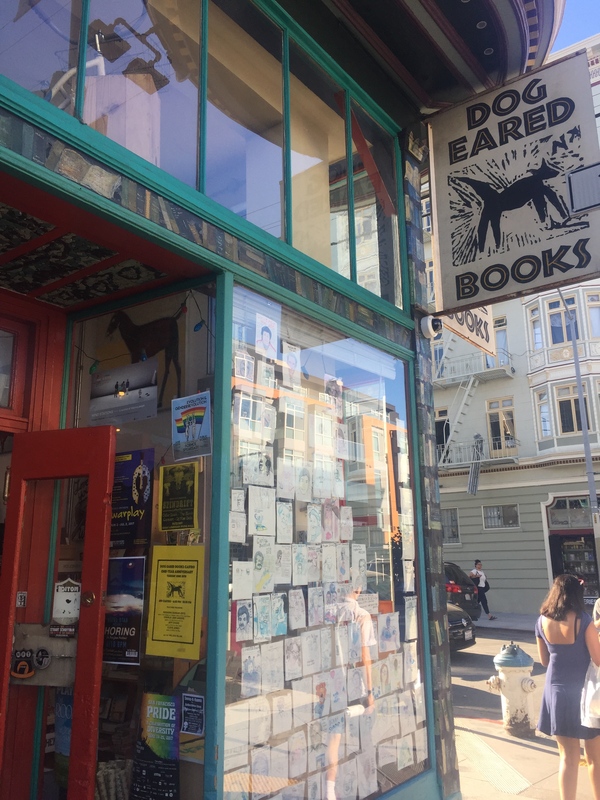 Continuing down Valencia I ran into Dog Eared Books, one of the many bookstores I stopped in, with much more on the street I had skipped. And the food! I had gotten dinner with some friends at Delfina, an Italian restaurant with some more unusual offerings. Options that also includes bread from Tartine Bakery, one of the more famous San Francisco bakeries. Best of all? The Mission is pretty flat. When you aren’t as athletic as everyone else in the entire city seems to be, trust me, this alone is enough to make it a favorite part of town. Fewer hills ready to murder my calves is a gold star in my book any day of the week. The woman who made my time in California incredible, who made me feel like family when mine was thousands of miles away, has a son who is in Little League. Eleven years old, it seems as though baseball becomes his life for part of the year. Naturally, he was excited to be told he was going to be able to see a Giants vs. Padres game. But not nearly as excited as me when I was asked if I would like to join. I enjoy baseball. While not my favorite sport to watch in person (that’s soccer), on television (that’s football), or to play (that’s volleyball), the best part of baseball to me is the feeling you get being at a game, surrounded by people just as excited as you. The excitement of the game coupled with the fact you can half pay attention to chat with friends is so much fun. Especially when you are sitting next to two boys are convinced baseball was God’s gift to mankind, chatting excitedly about every play that happens. AT&T Park is also beautiful. I was sitting behind home base (in the nosebleeds), and while at times it could have been hard to see, the spectacular view made up for it. Immediately behind the stadium is the San Francisco Bay, so if someone hits it out of the park, chances are it’s going right into the water. And in a city where the weather is seemingly perfect all year long, when is it not the time for a ball game? Golden Gate Park is fun because it has everything you would ever want. 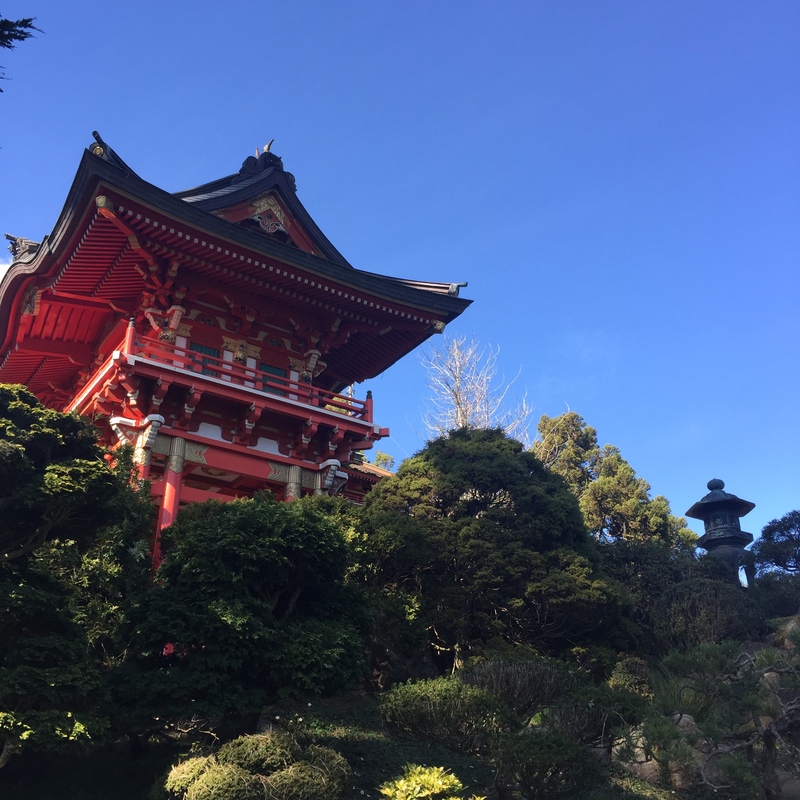 One of my first day trips to San Francisco resulted in me spending a significant time hanging around the city’s largest park (which also happens to be larger than New York City’s Central Park). And while I had fun walking around the park and throwing a frisbee with some new friends, I think Golden Gate Park is particularly interesting for all the things held within the park. Golden Gate Park seems to have everything: gardens, museums, sports fields, lakes, even a bison paddock. Seriously. Go check out the bison paddock. When’s the next time you’ll see bison outside of a zoo? You could easily spend entire days in Golden Gate Park and still not see everything. While I was able to visit the de Young Museum, the Japanese Tea Gardens, and the Dutch Windmill, I missed out on some other areas I wanted to explore, like the California Academy of Sciences and the Rose Gardens. Most of all it’s just nice to get back to nature. I’m a city girl through and through, but every once in a while it’s nice to have a place you know you can go to sit back in the grass and take a deep breath away from the hustle of the city. 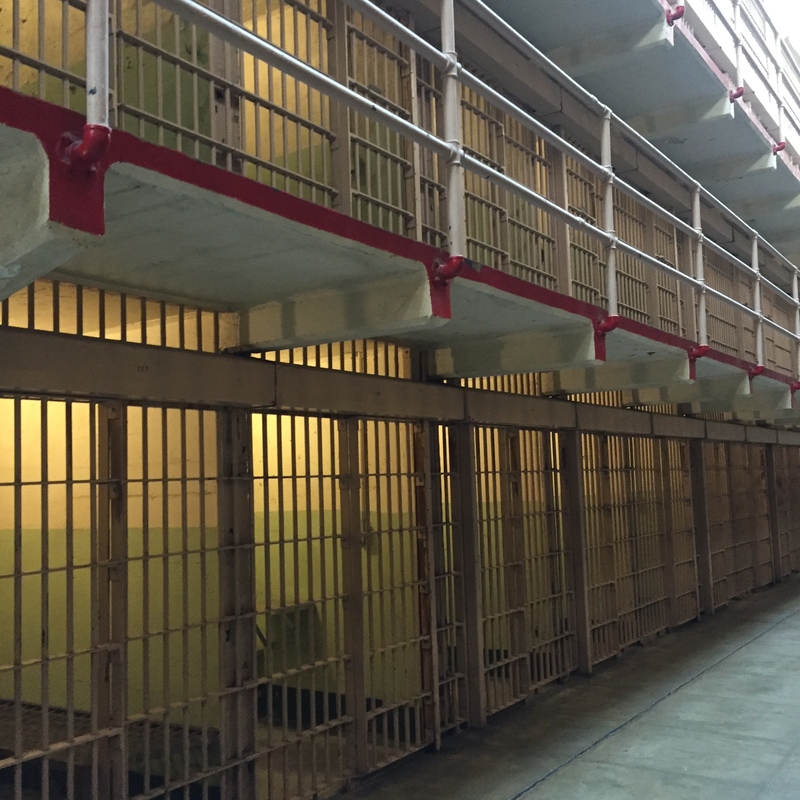 The San Francisco attraction I was most surprised to enjoy was Alcatraz. On paper, I couldn’t think of a reason I would enjoy it. Touring a prison? One that was notoriously chilly, regardless of how hot the city is? No thank you. But the tour is something any history lover can appreciate. Without a doubt, the prison’s audio guide is one of the better tours I have ever been on. Right from the start, you are thrown back in time. Multiple narrators tell you the story of Alcatraz, ensuring you get the perspective of both wardens and prisoners. The tour moves you seamlessly around the prison, all without the necessity of a guide. You have the opportunity to not only check out the prisoners’ cells but see different aspects of their life. You explore the mess hall, the library, and even get the chance to go into a solitary confinement cell. And when you are instructed to go outside, you are able to see one of the best views of San Francisco. I also learned an incredible amount from the tour. The history of the island before the prison was created, the crimes of some of the most famous prisoners, and how plans to escape were hatched are just a few of the highlights from the tour. One of the parts of San Francisco I love most is the architecture. Never before have I been to a city where each and every individual home seems to have so much personality. While I love the brownstones in Boston, in San Francisco each house, while designed architecturally in a similar way, is bursting with character. Although most are no taller than three floors and heavily feature windows, the colors are incredible. Whether painted a muted blue with gray shutters or a hot pink with neon green shutters, each house stands proudly in its own way. And while a crazy colored home somewhere else in the world might garner an eyebrow raise, in San Francisco it is the norm, making each street as lively and loud as the next. 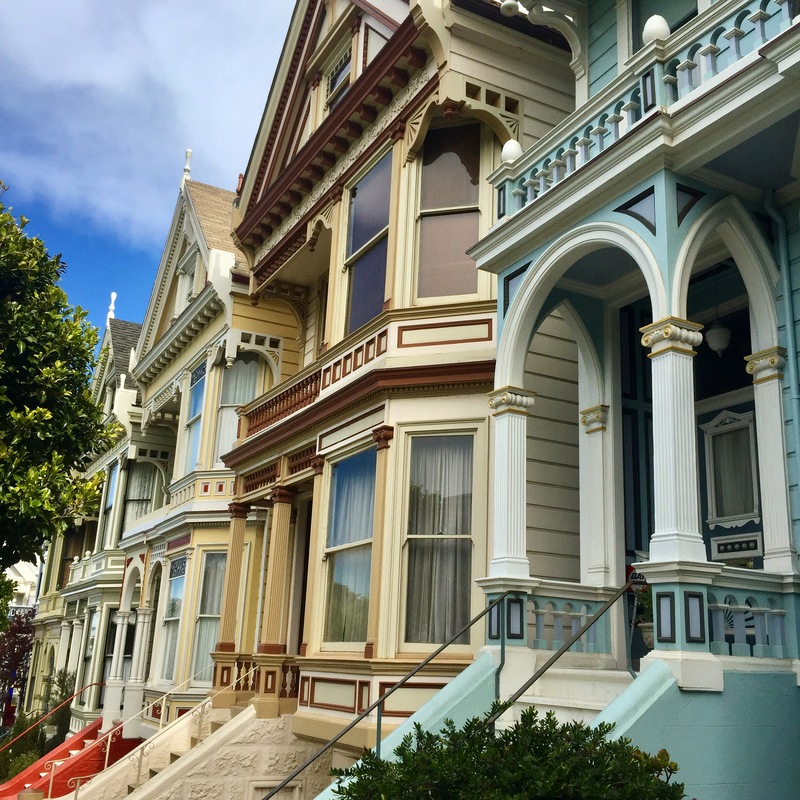 Right near Alamo Park is one of the most famous rows of homes known for their Victorian architecture, called the Painted Ladies. These homes are some of the most beautifully designed houses I have ever seen. Each is intricately painted with different colors accenting the detailed facade and are absolutely incredible. The attention to detail is striking and absolutely stunning. While all of the San Francisco architecture made me long to live in the city, the Painted Ladies may even take the prize as my absolute dream home, right up there with the brownstones. And finally, one of my favorite parts of San Francisco is the bridges. More specifically, the Golden Gate Bridge and the Bay Bridge. The Golden Gate Bridge is great in part because it is everything I have ever imagined when thinking about San Francisco. In fact, prior to my time in the city, I’m not sure what I would have pictured if not the bridge. 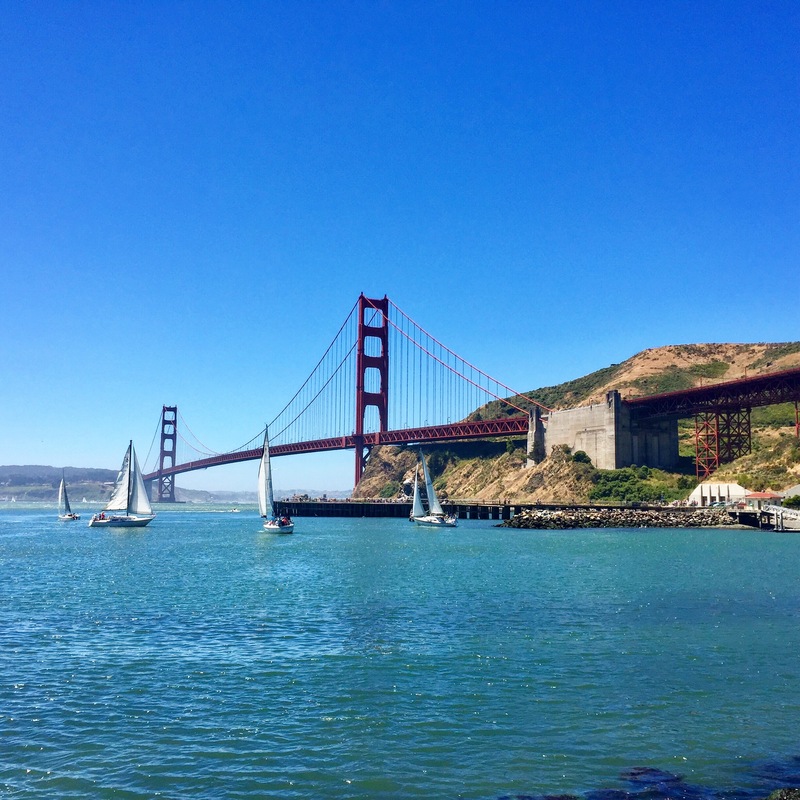 It is unsurprising why the bridge is so popular – bright red and connecting the city to some of the best parts of California, not to mention the number of vista points for an incredible picture. And much like my California roommate mentioned in one of her recent blogs, one of the best things to do with a group of friends your first time in the city is getting in a car and driving over the bridge while blasting the ‘Full House’ theme song. While I love the Golden Gate Bridge, I will say though that my favorite bridge by far is the highly underrated Bay Bridge. Connecting the city to Oakland, this bridge is just as beautiful, but in a different way than the Golden Gate. While the Golden Gate is best seen during the day as it stands apart with its bright red color, the Bay Bridge is best seen at night. In 2013 a lights show was added to the Bay Bridge, consisting of approximately 25,000 LED lights. Within a few years, the show was made permanent for people viewing the bridge, something I was grateful for. And with each night the lights randomly making different patterns, you always get a new experience. Being so close to San Francisco and visiting with more frequency than most other cities I’ve visited will forever give it a special place in my heart. While I wish I had more time to go in and explore more thoroughly, I have no doubt that I will be back, if only to visit some of the incredible people I met in the Bay Area. This entry was posted in North America, Travel and tagged california, san-francisco, top-attractions, travel. Bookmark the permalink.